I loved ‘The Tiger Who Came to Tea ‘. My dog eared copy had followed me round in 22 different houses, over the course of 33 years. And I looked forward to reading it to my daughter. When she was two, I fondly touched the face of the friendly tiger of my childhood as I told her that he ate ‘all the cakes, all the tins in the cupboard and drank ALL the water in the tap.’ Back in the days that ‘The Tiger Who Came to Tea ‘ was written, the houses in Britain had their own tanks of limited water. But something else also jarred with me. The mother and child (aged around 7), were at home waiting for the all omnipotent Daddy to come home and rescue them from their predicament… the predicament of having no food in the house. The tiger had eaten it all. Luckily Daddy ‘knew what to do’. He took them all out for sausages and ice cream. Next day Mummy went shopping for a big tin of Tiger Food. All was well again. Of course it’s relatively meaningless in the grand scheme of things. But the impressions of our children come from the culture to which we expose them. One of them is the nuclear family which has become less and less relevant as time moves on. And in an effort to start changing the paradigm Sarah J. Corner has started a series of books under the banner Stories for Unique Families. That’s us. 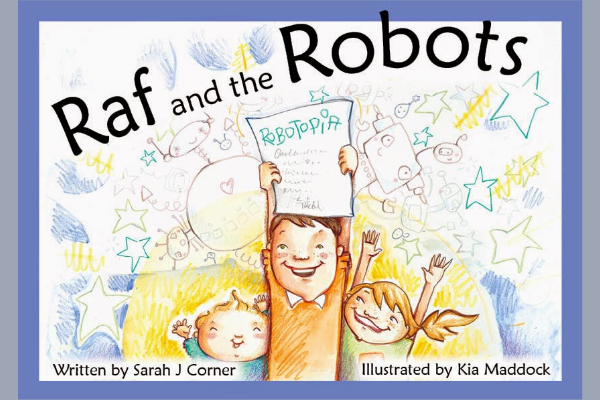 ‘Raf and the Robots’ is a simple tale about a little boy growing up in a polyamorous family. The subject of the book is not about polyamory, in fact the subject of the book is a subject dear to many polyamorists’ hearts – scheduling! In Sarah’s household, one child prefers blowing kisses to being kissed – a boundary which she has requested that the rest of her family respect as well. Older children have even more complex questions, from defining gender fluidity to confronting their friend’s accusation that ‘Daddy is cheating’. Open communication is a must and the conversations that occur are intriguing, and sometimes difficult. But Sarah says, their policy has resulted in few arguments and much more acceptance. 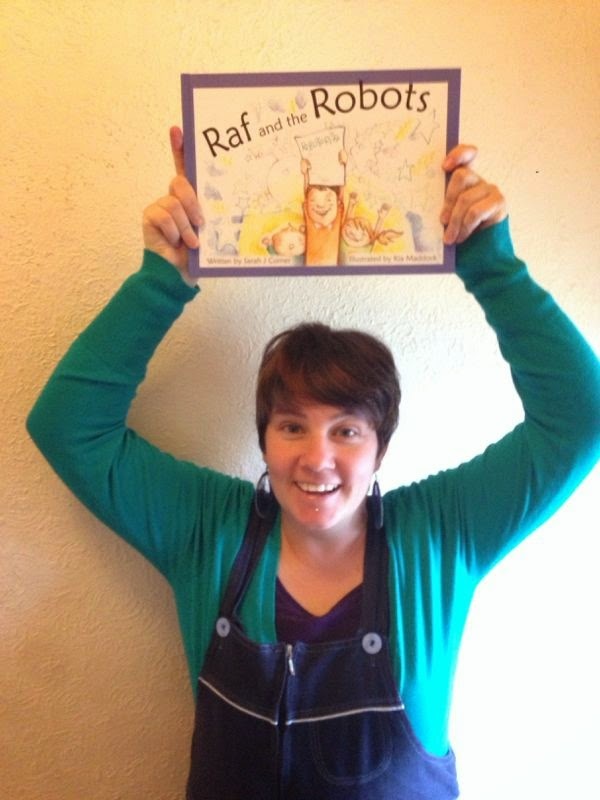 “Writing this book has certainly made it easier to communicate with the younger children.” she said. “But as a primary school teacher, how has your non-traditional relationship been accepted by the wider community? I asked. In Britain at least, it would be a big ask. Not only therefore does this book serve as a tool to help prepare the ground for further questions and acceptance then, it is also Sarah’s way of ‘coming out’ as the promotion of her book and its accompanying illustrations do more to explain how Sarah’s household works on a day to day basis than many long winded interrogations by ‘interested parties’ who might prefer to get bogged down in who sleeps with whom, when and in what configuration. It’s a great accomplishment to get a book published (as several authors on this site can testify! ), but the sweetest reward came from Sarah’s own mother who sent her a bouquet of flowers to celebrate its publication. It’s a true a testament to how a child’s book can change perceptions of even grown ups… and hopefully our world.